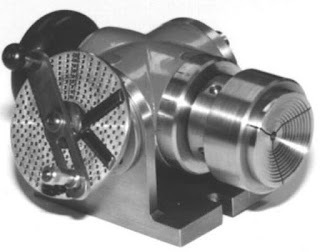 Work to be machined on slotter may be held in vertical three-jaw chuck, universal-indexing head or directly to the table with the help of clamps. The universal indexing head is fastened to the table with the ‘T’ headed bolts. No bolt or clamp should be protruding higher which may cause damage to the work or table. The table is provided with the ‘T’ slots and work may be fastened to the table by clamps. 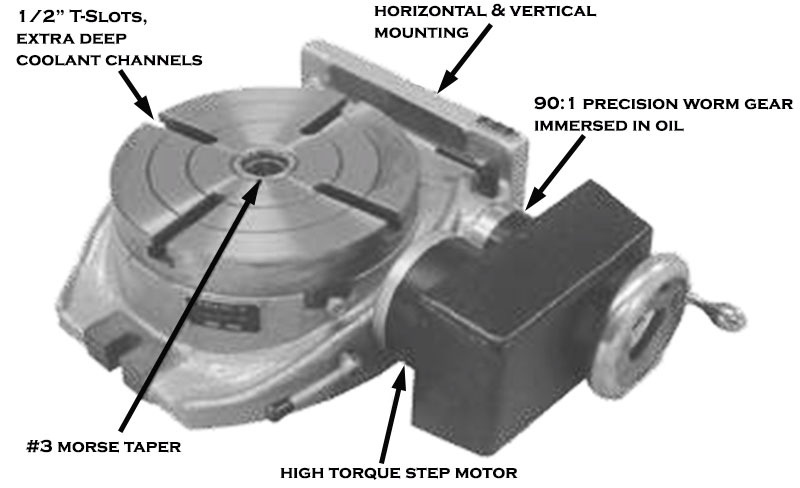 In some machines the ram head is arranged in such a way that it can swivel at the desired angle. Most of the slotter work is rested on parallel strips. These may be made out of cast iron or hardened steel accurately ground. Purpose of parallel strips is to give table clearance to the tool. The work must be well supported on the parallel strips, which support the work. Various types of work holding devices are used on slotter machine. (i) Plain - Plain vice may be bolted to the table of slotting machine. They may be turned so that the faces of the jaws are parallel with the face of the column. 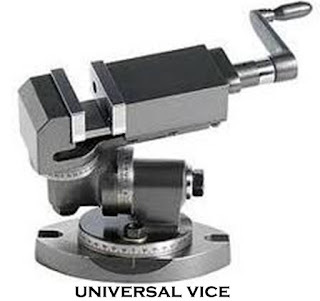 (ii) Universal - Universal vices are particularly adopted for holding work that is to be machined at a double angle. They are mounted on swivelled bases that can move through 360° in a horizontal plane. Universal vices are particularly adopted for holding small work on which work is to be done on various points and different angles. 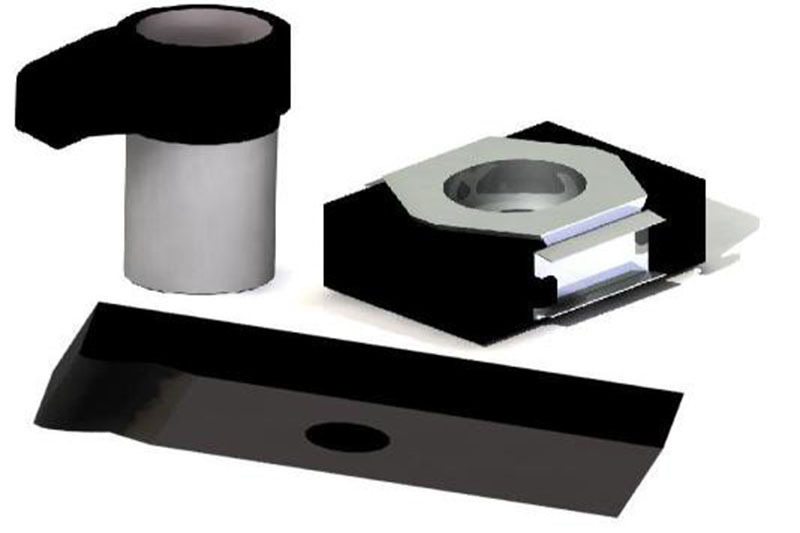 (d) Special Jigs and Fixtures - Special fixtures are used to hold castings of irregular shape. These are designed especially for the particular work to be machined. The basic idea to design jig and fixture is to locate and support any type of work in a correct manner with reasonably less time. (e) Rotary Table - The rotary table provides a convenient means of cutting internal or external work. The indexing of rotary table can be carried out to suit the number of slots being cut. The angle can be calculated by dividing 3600 by the no. of slot. (f) Indexing Head - The indexing head is to rotate a piece of work through a certain number of degrees or certain fractional part of a complete circle for the purpose of graduating or machining the part.